Congratulations to the Volkswagen Chattanooga facility, who recently won the prestigious Gold Edison Green award for 2012 - an award that recognizes Volkswagen's excellence in the fields of environmental stewardship and sustainability. ERA is proud to have been a part of a facility that continues to achieve continued environmental success. VW's environmental efforts continue to break ground with their work on important environmental initiatives that will, no doubt, continue to fuel their success. 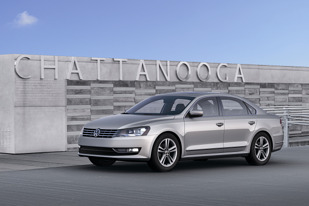 The Chattanooga facility has already achieved LEED platinum certification as part of Volkswagen's Think Blue initiative. It is the first and only automotive manufacturing plant in the world to achieve this extraordinary level of LEED certification. You can read about the Chattanooga facility's journey to achieving platinum certification from the LEED green building program in our 3 part interview with Ron Drumeller, the Environmental Specialist for the Chattanooga facility starting here.